Among the dozens of Korean restaurants at Solaris Mont Kiara, a few of them like Omaya and Sae Ma Eul are doing better than the rest. 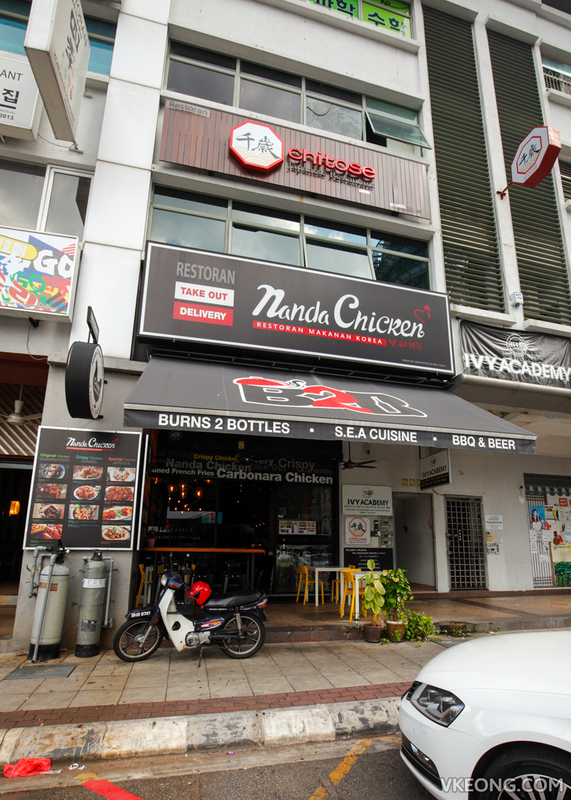 Nanda Chicken is also highly popular and we have observed that it is always full house with customers queuing outside. The curiosity got the better of us so we dropped by for an early dinner recently to avoid the crowd. 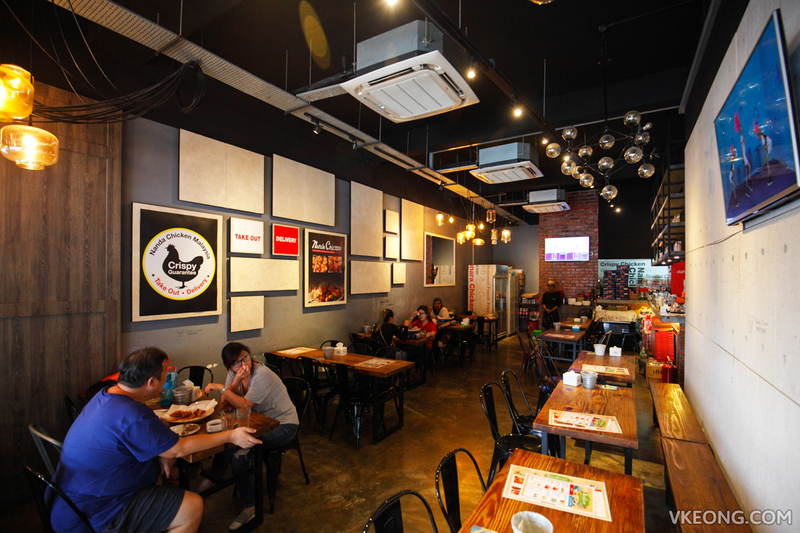 Nanda Chicken’s menu is pretty straightforward and Korean fried chicken is the main attraction here. It is available in three categories: with cheese, crispy and special. If you are dining in a small group, ordering could be tricky because most of the portions seem to be made for sharing. The only exception would be the chicken wings, but we were told that it was not available (yet) during our visit. So yeah, tough luck. That said, it didn’t take us long to decide on what we wanted. It had to got to be the Snow Cheese Chicken, which we ordered half and half @ RM62. 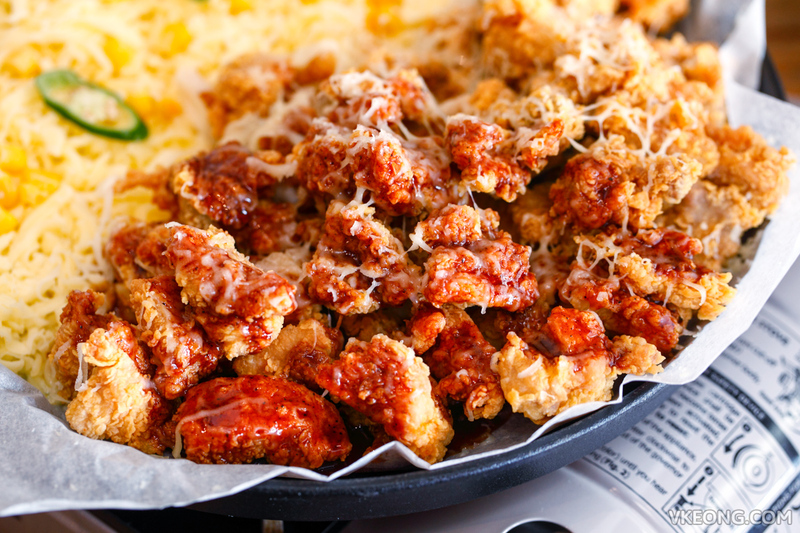 One half of the boneless fried chicken is the normal crispy version while the other half is fire cheese. You can tell from the name that it’s supposed to be spicy, and it really was. Although the price might feel a bit high, at least the portion size justifies it. 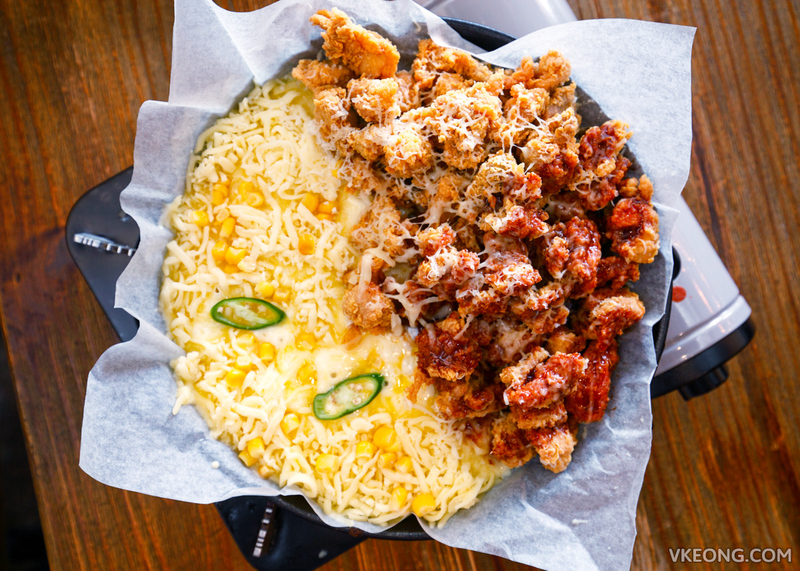 The pan is quite large to begin with and it’s filled with a pool of cheese and a large amount of boneless fried chicken. The Snow Cheese Chicken is served on a portable gas stove and the idea is to heat the pan for the cheese to melt, then dip the fried chicken in it. If you ask me if the cheese is too much, I would have to say no. 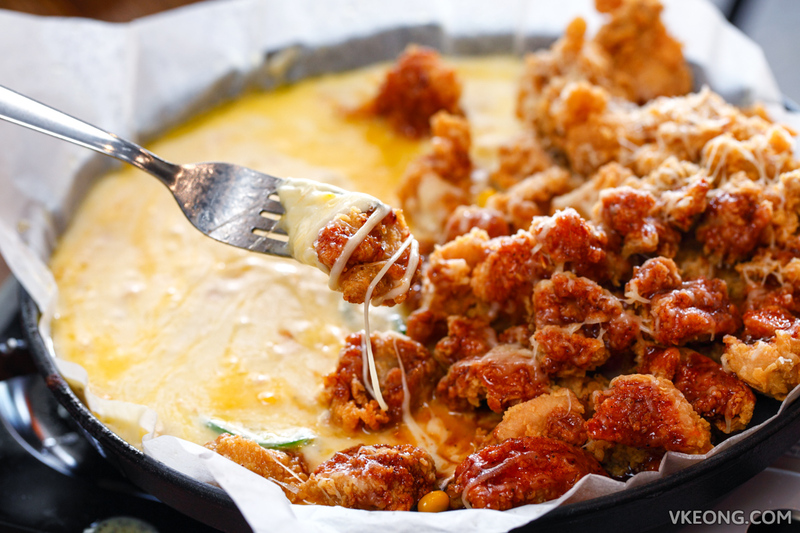 In fact, the amount of cheese they give is just right to coat every single piece of the fried chicken. Also, it doesn’t really feel ‘jelak’ but you will get bored of the taste quickly. 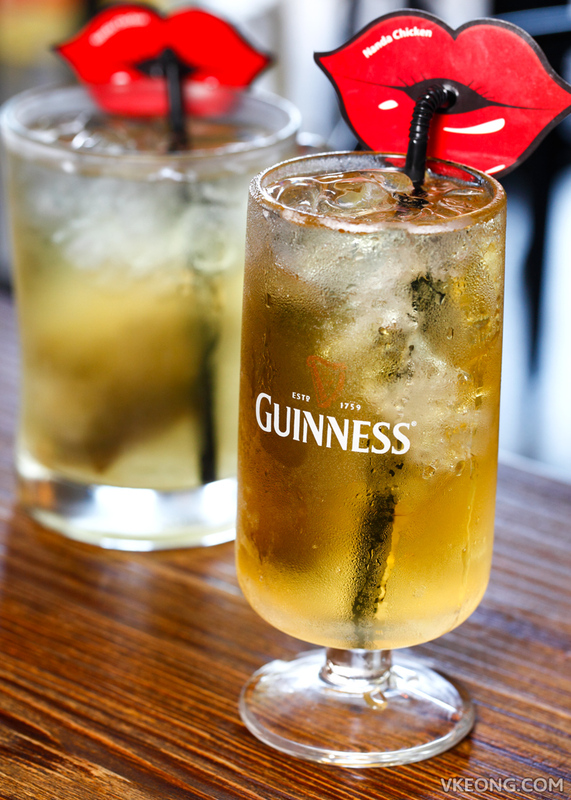 This is even more so, when you are sharing this with only another person. So do come in a larger group for a better experience. Besides, you will get to order more things as well. 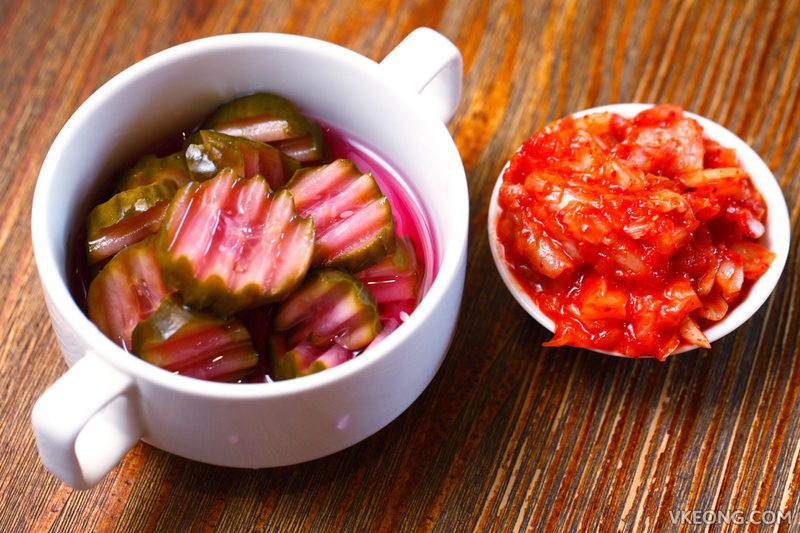 The appetizers you get include pickled cucumber and kimchi. Usually these are just OK but they were surprisingly good, especially the latter. As with the other Korean restaurants in town, drinks are pretty pricey here. I had the Korean Somac (Soju + Beer) @ RM14 while SL had the iced green tea @ RM5. Water is not served FOC so that could probably be the only con to this place. The post Nanda Chicken Snow Cheese Chicken @ Solaris Mont Kiara appeared first on Malaysia Food & Travel Blog.